STADT Architecture is awarded an AIA-NY State Design Award! 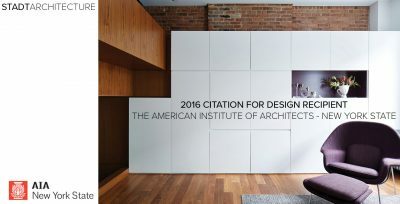 We are pleased to announce that the UWS Apartment I has been awarded a 2016 Citation for Design from the American Institute of Architect – New York State! We are pleased to be included with such a well respected group of architects. Congratulations to all recipients! For a list of complete winners, please click here.